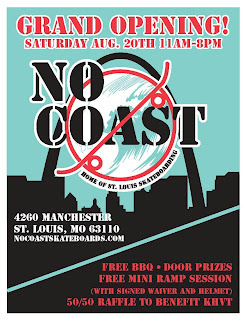 Jolly Roger Skateboards: No Coast Opening Today! 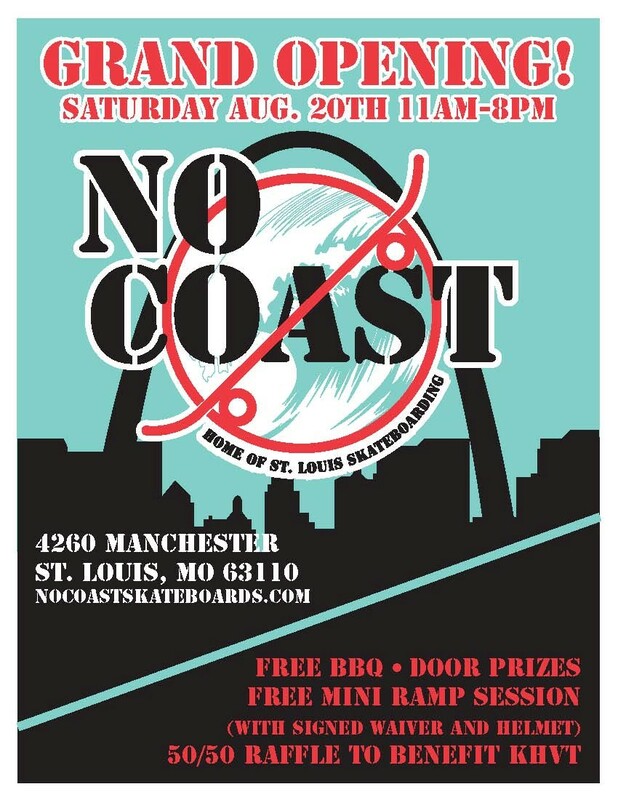 I am a little late in posting this, but if you like fun you should head on over to No Coast Skateboards in St Louis to check out one of the funniest mini-ramps around. They are gonna be serving up some free BBQ too so you won't leave with an empty stomach. And if you buy one of their shop tees, don't forget to tell them how awesome they are and how they need to keep whatever screen-printer they are using.